Here at FaveHealthyRecipes, we believe that broccoli gets a bad rap because people don't understand all of the amazing things you can make with it. Broccoli is one of healthiest vegetables out there, so it should constantly show up on your family's dinner table. This compilation of 23 Easy Broccoli Recipes: Healthy Vegetable Recipes for Every Family Dinner is exactly what you need to help you and your family eat delicious and nutritious meals. If you love broccoli, then these broccoli side dishes will be perfect for you. 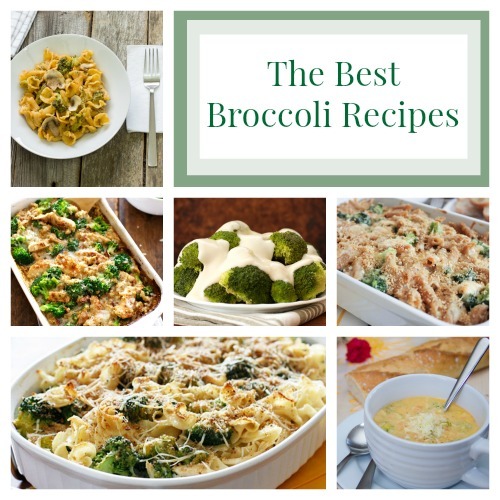 However, if broccoli isn't your favorite veggie, then you should check out our broccoli casseroles, broccoli stir fries, broccoli cheddar soups, and broccoli pasta recipes. You should definitely try every single one of these fresh and flavorful broccoli recipes. You won't be disappointed. Can't get enough veggie recipes? Check out these 15 Ready-for-Dinner Healthy Asparagus Recipes. No matter what's on the menu for dinner tonight, these broccoli side dish recipes will complement the main dish perfectly. These easy broccoli recipes are absolutely amazing. It doesn't take too long to make these yummy side dishes, and you can be sure that they're healthy. Both kids and adults will gobble up these broccoli dishes, and you won't hear any complaints. It can't get much better than that! If you're feeling under the weather or if you need a feel-good comfort meal, then these broccoli cheese soup recipes are your ticket to happiness. You'll never imagine that a healthy soup could be this deliciously creamy. 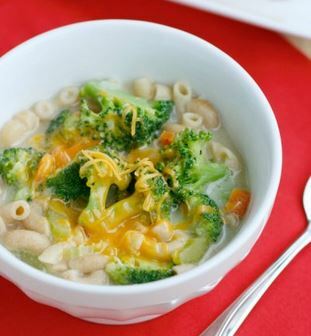 The cheese and broccoli work together to create the best possible soup. We will guarantee that you'll want a second helping of these amazing broccoli and Cheddar soups. Want some more healthy recipes? Check out these 8 Vegetarian Recipes. Casseroles are simply the best things to make when you're short on time. You simply mix everything together and then toss it in the oven. These casserole recipes will easily feed your entire family. Because these broccoli casseroles are a one-dish meal, you won't need to make any extra side dishes. You'll get your protein and veggies all in one dish. See; we told you so. Casseroles are simply the best. After making one of these healthy broccoli dinner recipes, you'll wonder why it took you so long to find this list. You could make these easy broccoli recipes for dinner every night this week. Don't worry, your family won't mind because they'll love these broccoli recipes, too. These broccoli dishes are just so good; you'll never get sick of them.